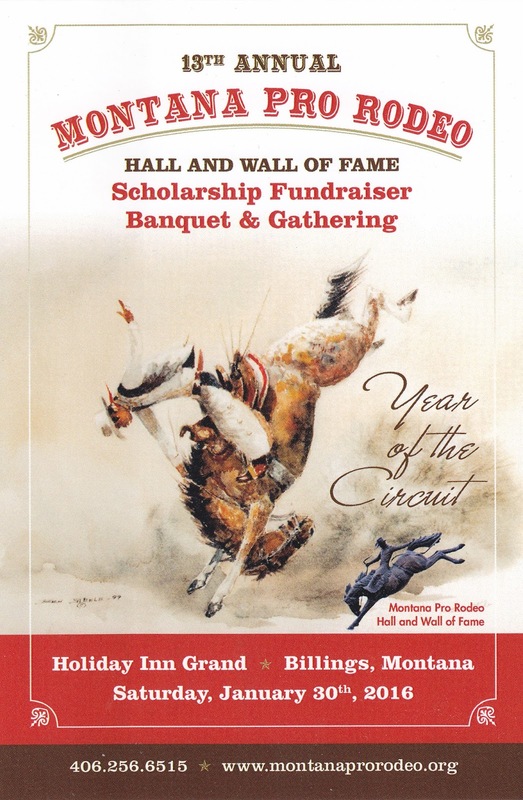 The 13th annual Montana Pro Rodeo Hall and Wall of Fame Scholarship Fundraiser, Banquet and Gathering will be held today on January 30, 2016 at the Holiday Inn Grand in Billings, MT. It is the largest state high school rodeo scholarship program in America. Holiday Inn Grand, one of the largest hotels in Billings, was recently sold for 7.85 million dollars at an auction and is in the process of conversion to Radisson. I picked up this event card at the 2015 National Finals Rodeo in Las Vegas. Update: the card was later sent as US-3934044 to California.